With the draft under 24 hours away, general managers of football teams are doing their research, trying to figure out what kind of player will best fit their needs for the upcoming year. 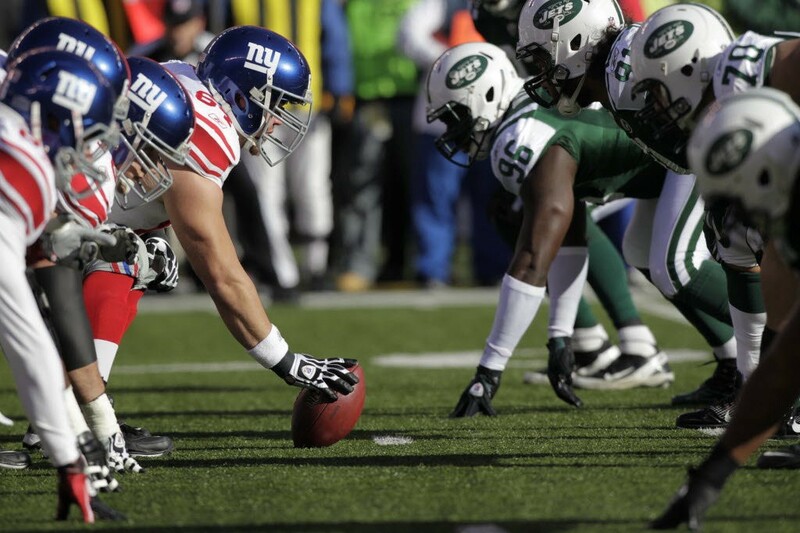 Should they focus on the battle of the trenches, selecting an offensive or defensive lineman? Perhaps picking up a wide receiver or cornerback could help combat on the perimeter? Some team managers will look for a franchise quarterback, bringing peace and stability to the team for years to come. There are a number of ways in which a manager can pick up and arrange players into positions that will be optimal for the team. Regardless of who the team selects, the player will be beholden to the rest of the 53 man squad that he will go to games with on any given game day. 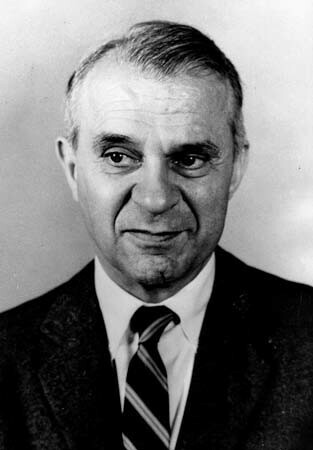 Nobel winning economist Wassily Leontief was the GM of America in his time, taking part in making decisions in an attempt to plan out the American economy with the use of his input-output model of analysis. Wassily Leontief was awarded the Nobel prize in economics in 1973 “for the development of the input-output method and for its application to important economic problems.” In essence, the dude wrote the fricken book on how to look at the numerous transactions that go down in the various industries of an economy. At age 19, he laid the foundations of input-output analysis by showing how Leon Walras’s general equilibrium theory, considered abstract at the time, was actually quantifiable. Leon Walras was an economist whose general equilibrium theory would allow for a government to potentially plan out the economy by solving a system of simultaneous equations. What were you doing at 19? In 1941, as a professor at Harvard, Leontief showcased his expertise. Like a football team manager, he used the U.S. Census of Manufacturers data, to figure out how to call the play for the country. However, while the census certainly contained a lot of the data, it was a rough collection with many missing data points. The missing data had to be compiled through arduous sifting through countless trade journals and a mixture of sources from across the spectrum. Unlike a football team manager, Leontief finally overcame this issue by compiling a 44 sector input-output table, containing over 2000 numbers explaining the relationships between different industries. Using this table, he was able to take the 44 sectors and consolidate them into 10 and solve the simultaneous equation coinciding with it. Keep in mind, at this point in time there was no calculator; he just had his good ‘ole brain. Everyone in the economics community recognized the significance his work almost instantaneously, as he served as a consultant for the U.S. Bureau of Labor Statistics. He assisted them in constructing a 400-sector table that would help predict employment for major industries after WW2, when all our boys came back to the states. His goal was to ensure that we had a smooth transition from the production of tanks to the production of Chevy’s. However, input-output analysis could also be used in understanding flow of trade between countries. While seeking to understand how countries trade with each other, he found a surprising trend that contradicted what most economists believed. Many economists thought that the United States traded capital-intensive goods, like planes, cars, etc. — goods that require a ton of money to produce. However, Leontief discovered that we were actually exporting wheat, sugar, and other goods that are labor intensive. What’s more is that other countries that were thought to be exporting labor intensive goods were actually trading the expensive stuff! This became known as the Leontief paradox. In football, each player on the team is dependent on one another: they need each other to play well to succeed. The quarterback will perform better if he has good protection. If the quarterback can play well, this is a major component on whether or not wide receivers can produce in the form of receptions, yards and touchdowns. A defensive end can flourish if his fellow linemen can command double teams, leaving him with one on one match-ups to exploit. Like the Leontief paradox, knowing what everyone is actually bringing to the table is pretty important. The input-output model is regarded as a staple for major institutions such as the World Bank, the United Nations and the United States Department of Commerce. None of these institutions would be able to conduct their “inter-industry” analysis without Leontief’s framework. 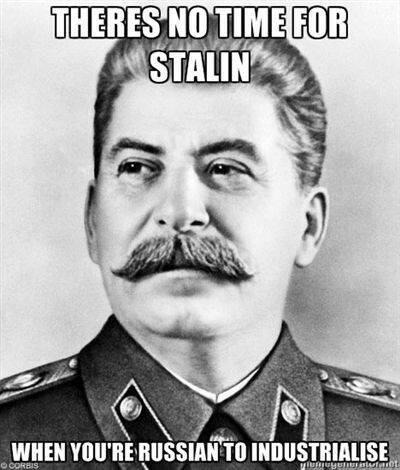 The USSR also used this method of analysis in the foundations of their five year plans. They would use the model to set goals they would like to see the industries meet five years down the road. Though, more often than not, those objectives were never met. On the tail end of the era of the USSR, research showed that the revered input-output model needed a lot of fixing to better suit the state’s industry goals. In 2010, the U.S. Congressional Budget Office (CBO) used inter-industry analysis to look at the effects of pricing carbon dioxide emissions. Results from the analysis revealed that if a $20 tax is placed on CO2 emissions, consumers of energy commodities such as natural gas, electricity, and gasoline would see prices go up by 10 percent. But, most other commodities would see prices go up by only one percent. Throughout his life, Leontief campaigned against “theoretical assumptions and non observed facts.” Hence, the Leontief paradox. So obvious was his campaign that it was the title of his acceptance speech when he became the president of the American Economic Association. He was a critic of economists that were reluctant to “get their hands dirty” by working with raw empirical data. He started the craze by bringing data to the top of the toolkit when practicing economics. Leontief did his part to rectify that err in the economist way, making quantitative data more accessible, more indispensable and advancing the study of economics. His mouth would be watering at the amount of accessible “big data” we have at our fingertips today. Leontief’s model had his fair share of critics, though. His input-output matrices gave a good rough estimate of the inputs required, but failed to account for changing proportions. For example, when the cost of an input increases, producers reduce using that particular input and substitute in a cheaper alternative. This changing behavior of the producer can lead to Leontief’s matrices giving wrong answers. GMs are not perfect. They often make many mistakes and bad picks along the way; just ask the Dallas Cowboys GM and owner Jerry Jones. In fact, only one GM can pick the best combination of players in any given year. We find out which one when the team wins the Super Bowl. Nonetheless, with all the complexities of finding the best combination of 53 people, Giants Head Coach Ben McAdoo has nothing on the hubris of Leontief in trying to find the best combination of an entire national economy.